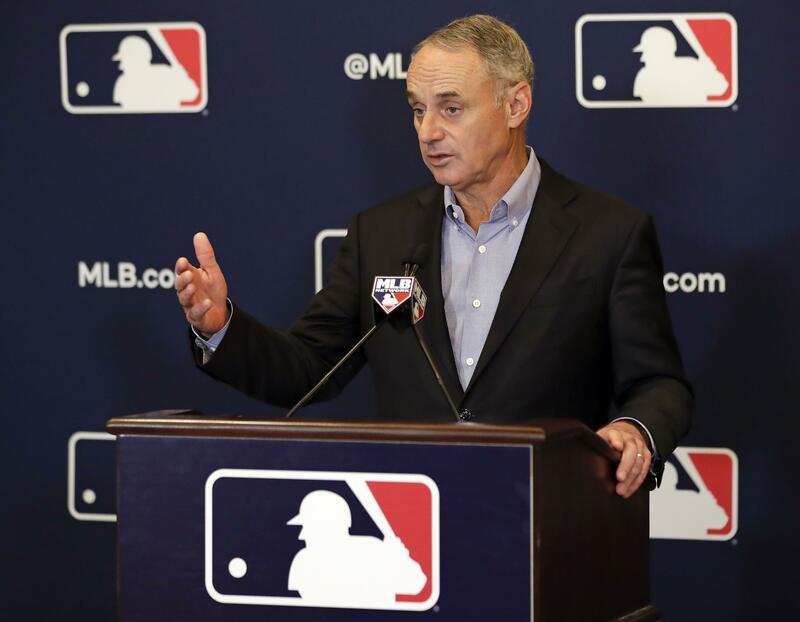 UPDATED: Fri., Feb. 8, 2019, 12:54 p.m.
ORLANDO, Fla. – Don’t look for a National League designated hitter this year or for new anti-tanking rules in June’s amateur draft. Baseball is in its third year of a five-year labor deal, one in which the free-agent market has slowed considerably – even with premier players available such as Bryce Harper and Manny Machado. Management would discuss larger changes as part of a deal for a new collective bargaining agreement extending beyond December 2021. “I do think that negative commentary surrounding the game that is not factually supported can have an impact on attendance – assertions about clubs not trying to win and the like, I think that’s not helpful,” he said. Published: Feb. 8, 2019, 10:34 a.m. Updated: Feb. 8, 2019, 12:54 p.m.